Bury St. Edmunds is the cradle of the Magna Carta with a glorious Cathedral and Abbey gardens. Colchester is Britain’s oldest recorded Roman town, with a Norman Castle and one of Europe’s finest Zoos. Long Melford has two Tudor mansions and boasts the longest village street in the country including antique shops, many of which were featured in the Lovejoy TV series. Lavenham was the fourteenth wealthiest town in England during the reign of Henry V111 and has much of its original character as a medieval village. Castle Hedingham’s Norman keep, built in 1140, stages many events, woodland walks and with a picnic area. It is the birthplace of naturalist Mark Catesby (1683–1749) who first published accounts of flora and fauna in North America. East Bergholt is the birthplace of John Constable (1776–1837) and is within walking distance of Flatford Mill, with Willie Lots Cottage, where Constable painted some of his best known work. Groton is a village only a few miles from Sudbury and is the birthplace of John Winthrop (1587-1649) who was the first governor of Massachusetts and founder of Boston. Many Americans can trace their ancestry back to South Suffolk. Nayland has fine Tudor houses and a fine church which includes a painting, Christ Blessing the Bread and Wine, by John Constable. Great Cornard is fortunate to have an extensive area of Country Park that includes a variety of habitats. 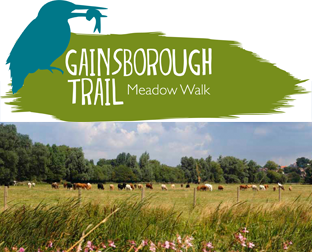 Explore the Valley Walk of the disused Victorian railway line and Thomas Gainsborough’s links with the Sudbury riverside. Enjoy the timeless landscape of the Sudbury Common Lands and learn about its heritage and history.